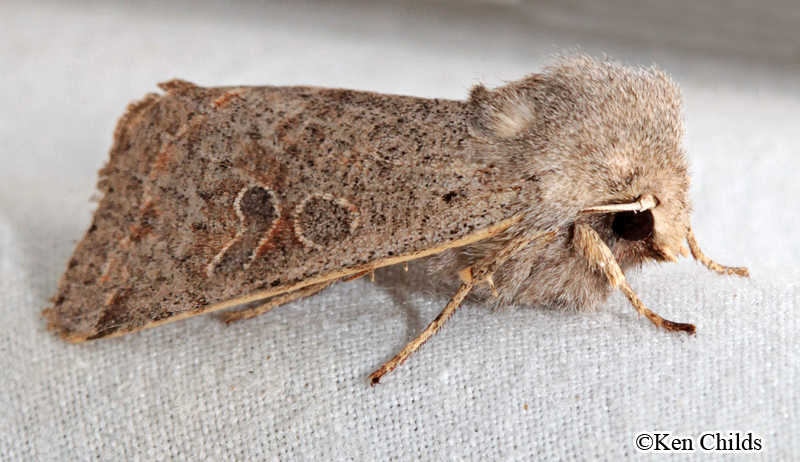 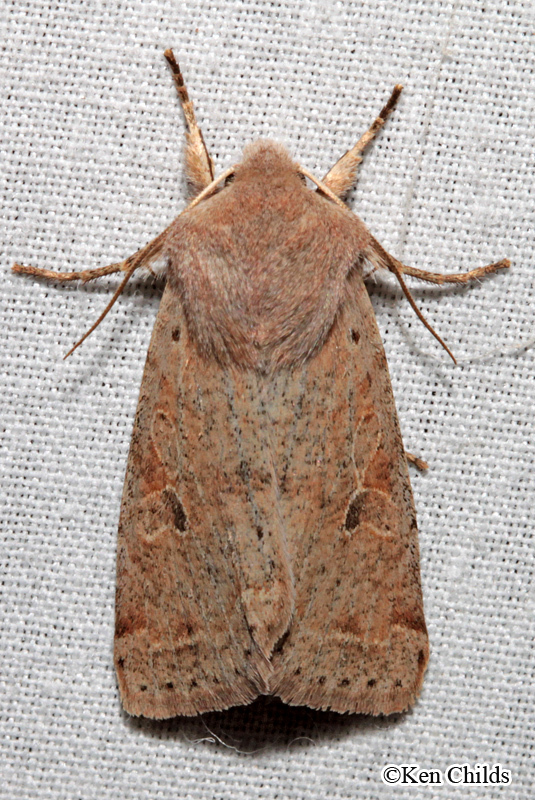 Identification: Antennae of male are serrate. 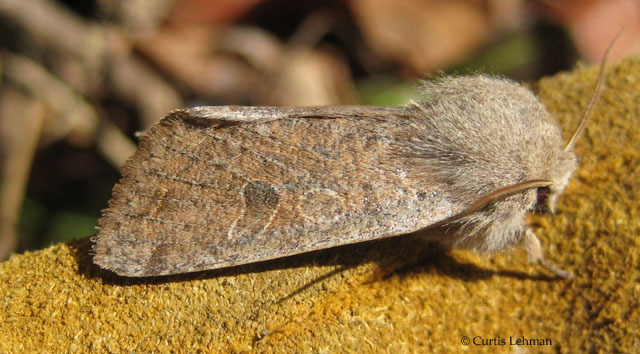 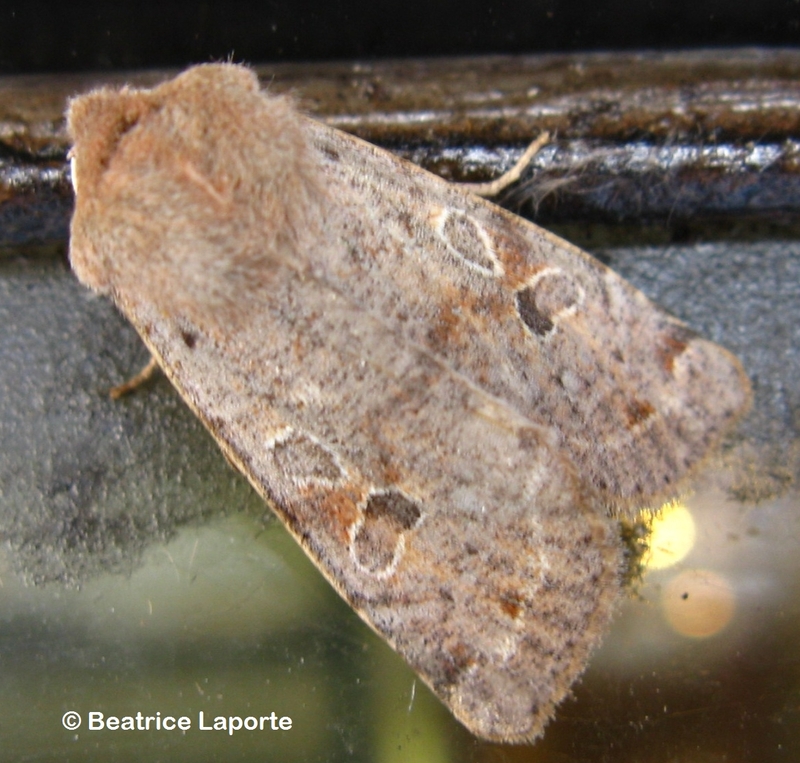 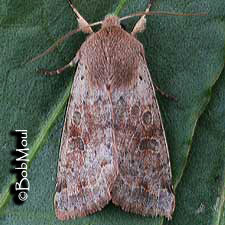 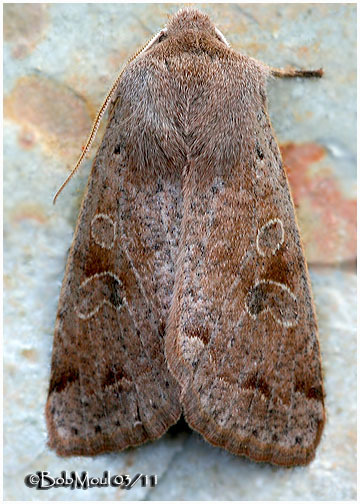 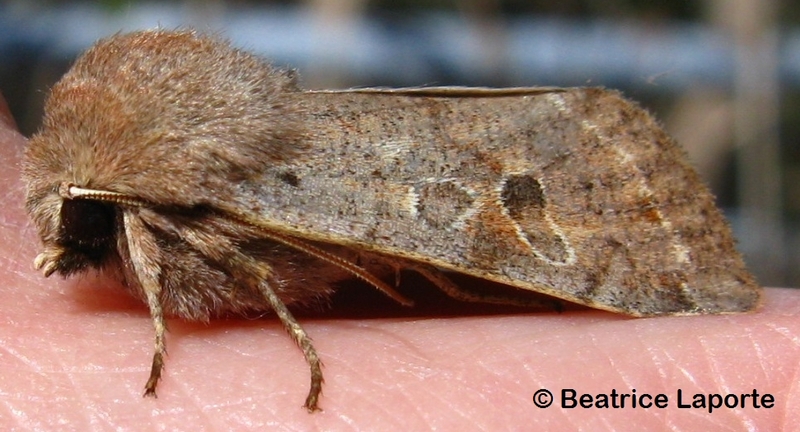 Forewing grayish brown with very little reddish tinting. 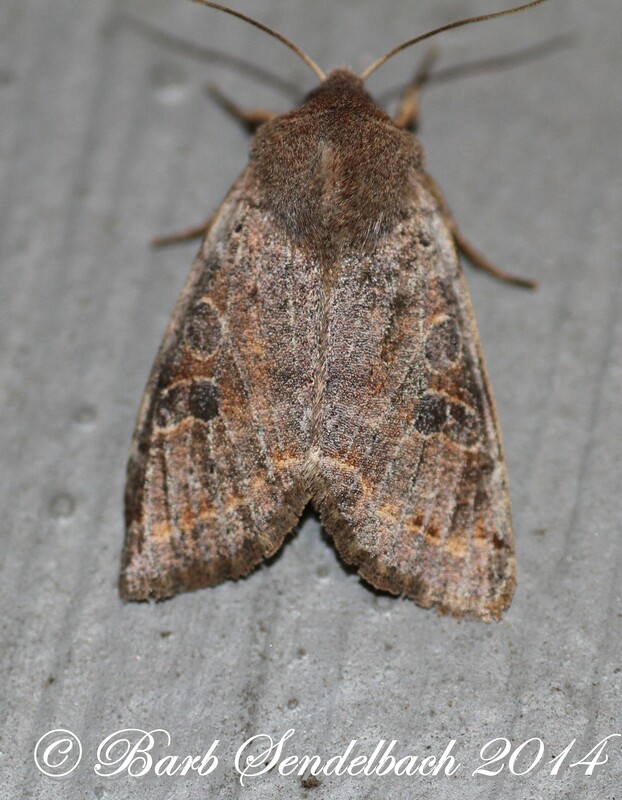 Lines and spots usually distinct, usually accepted with vague blackish markings, such as top of st. line and filling in bottom half of reniform spot. 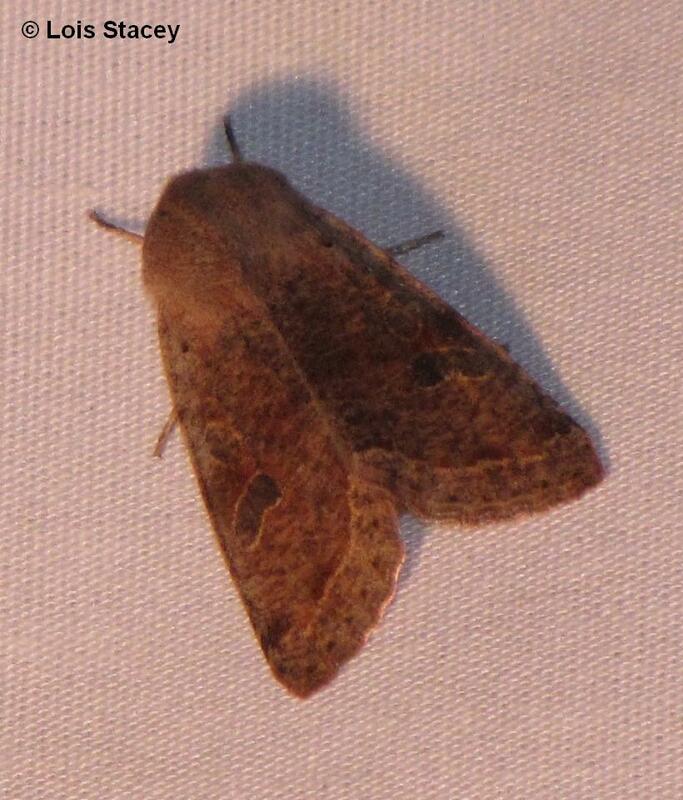 Hindwing grayish brown. 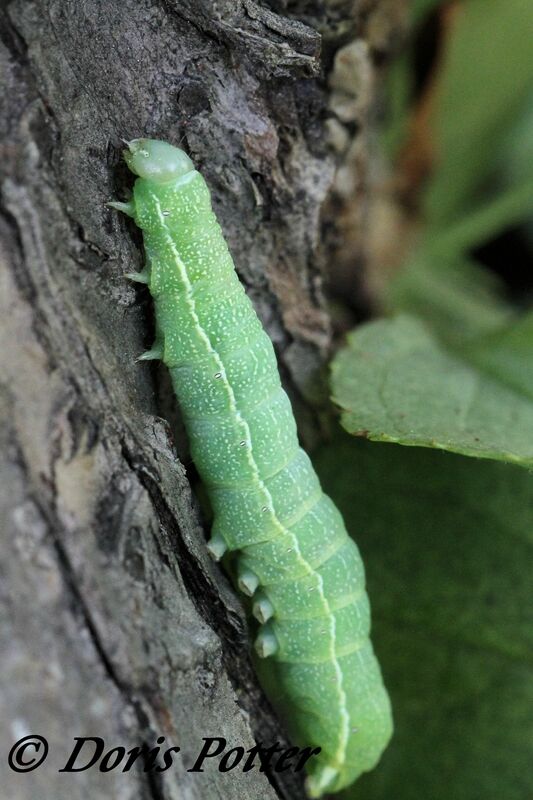 Caterpillar Hosts: Wide variety of plants, including apple, crabapple, cherries, plums, and other trees.